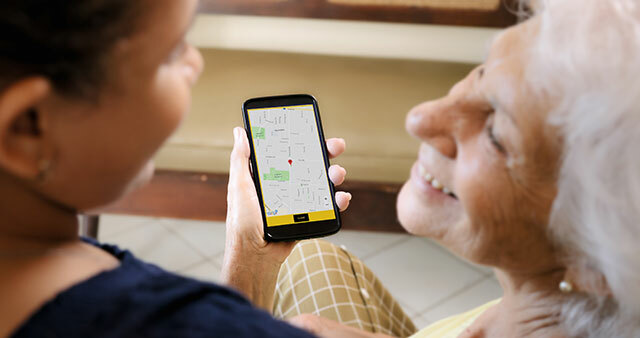 GPS Tracker for Elderly | Best GPS Tracking Service for Seniors 2019 | KISA KISA phone is the ultimate simple phone! 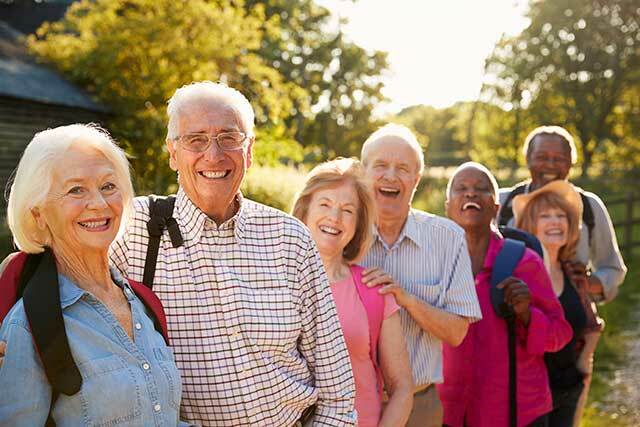 As they get older our elderly relatives or friends can become confused and can wander or become lost. 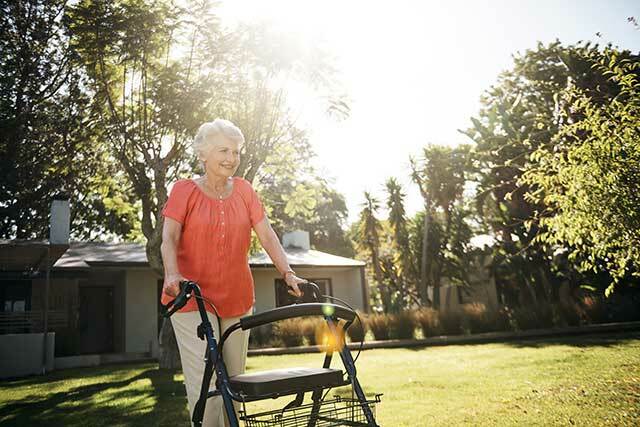 For your peace of mind, a GPS tracker for elderly can help you to locate your loved ones at any time. GPS locations accurately track your loved one while they are out and about. Every 15 minutes the GPS gathers its location from the overhead satellites and sends that information through to your KISA account. Location data is stored on our servers and can be accessed in your secure KISA account via our app or our website. Simply click one of the listed dates and times to view a map showing where the phone was at that time. Keep track of loved one who has dementia and is prone to wandering. Whether you live together, apart, they are travelling or you are, you can check they are where they should be from anywhere in the world. The KISA phone assists the elderly to maintain their independence. Why should I choose the KISA phone for my GPS tracker? Many GPS trackers for elderly are strangely shaped objects that a sufferer of Dementia or Alzheimer’s do not view as important and often leave behind. As the KISA phone has the appearance of a modern smart phone, can make and receive calls and is personalised with the names or photos of the user’s loved ones it can be recognised by the user as a thing of value that they should carry with them. No contracts – cancel at any time. As they get older often our loved ones can become easily confused or disorientated. Yet the elderly have the same needs for friendship and activity they always had. Often seniors can feel isolated and believe they have lost their independence. They do not understand the concerns of their family and carers who just wish to know where they are so that they can be sure that they are safe. To resolve this issue GPS tracking can be helpful. With GPS you can still have the peace of mind of knowing where they are without them feeling monitored or that they need to get your approval for their outings. GPS stands for Global Positioning System it is a system by which a device can link up with the satellites in orbit to gain its location. In the case of a GPS tracker this information can then be used by third parties so that they can locate the item. Businesses with often use such devices to track company assets such as cars or machinery, individuals will often track items like their keys that are easily lost. At KISA we use this technology to help you be there when you can’t be. Whether you are a suburb away or in the next state or country you can know where your loved one is. As long as their phone is switched on, powered up and in a service area you will receive regular locations. While the technology has limitations, it is dependant on the position of satellites and can be hindered by obstructions like mountains or large man-made structures, in typical outdoor environments you would receive a strong accurate location. 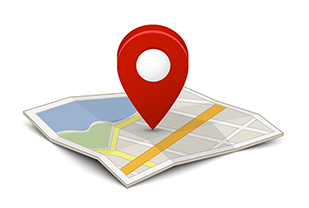 It can be important for our own piece of mind to be able to check their location quickly and easily. They may be confidently heading to a location they know well but they accidentally make a wrong turn and become flustered and often keep walking expecting to arrive in an area they recognize. While they don’t tend to be swift they can end up quite a fair way from home before you realise that they are lost. The GPS tracking service on the KISA phone can show you where they are now and the path they took to get there. Enabling you to pick them up and possibly assist them to make the right turn next time. The GPS tracking service on the KISA phone gives you the ability to check your loved one is where they need to be when you can’t be there in person. Even when you are the primary carer you can’t always be there all the time. You may have your own health issues to attend to, work commitments or you may even live interstate or overseas. In any case it is reassuring to be able to confirm your loved one’s location. Over the course of the day the KISA phone logs in every 15 minutes to provide our secure network its current location. Should the situation arise that the elderly person in your life becomes missing or you just want to reassure yourself that they are safe you simply log into the My KISA app or the My KISA portal on the KISA website to check the locations provided by the KISA phone. The trouble with a lot of tracking devices is that they are small and often do not look like the sort of item seniors think they need to keep with them at all times. A tool like the KISA phone can be seen by the user as a necessary emergency device. While being small enough to be easily portable it is not easily misplaced. 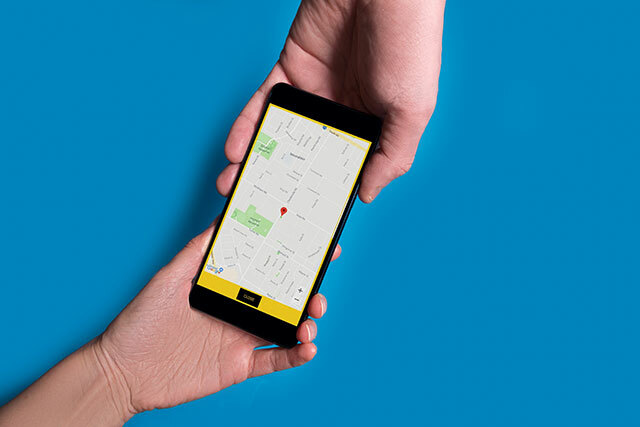 The GPS tracking service on the KISA phone allows your loved one to have the independence they’ve always enjoyed while giving you the peace of mind of being able to locate them and confirm they arrived at the places they need to be. The KISA GPS tracking service can be applied to any KISA phone whether it is on one of our phone plans or with another provider. Simply contact the friendly KISA team to arrange GPS tracking today.